Antiparos churches are between the main attractions of the island. 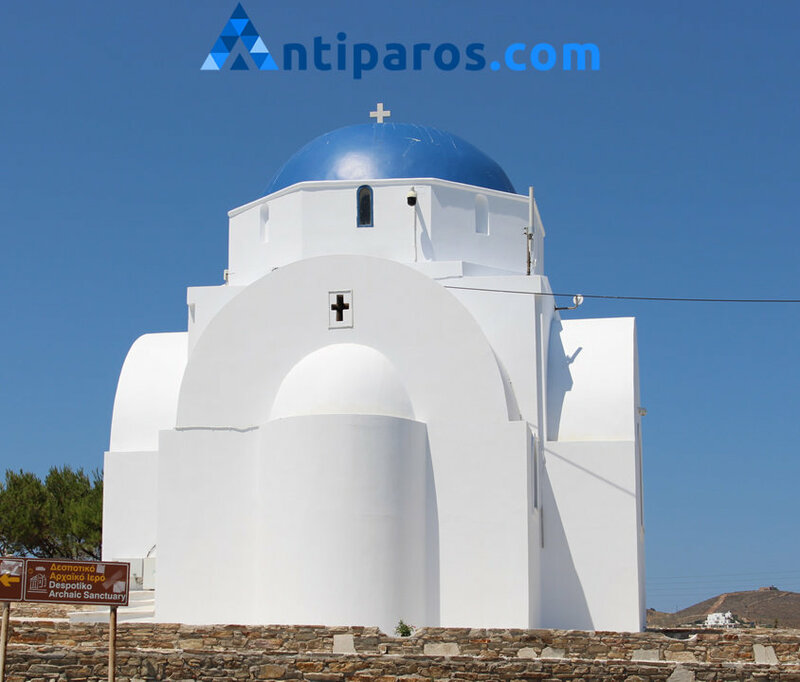 The island of Antiparos displays many interesting and beautiful churches. You can see the first church even before you arrive on Antiparos port. While being on the ferry you can see the church of Agia Marina. Antiparos churches stand out for their elegant architecture while some of them present a unique archeological interest. The churches appearance bear witness to the typical characteristics of the Cyclades. Their colors are almost always white and blue. Antiparos has about 50 churches that may be considered an excessive number in relation to the population and the size of the island. 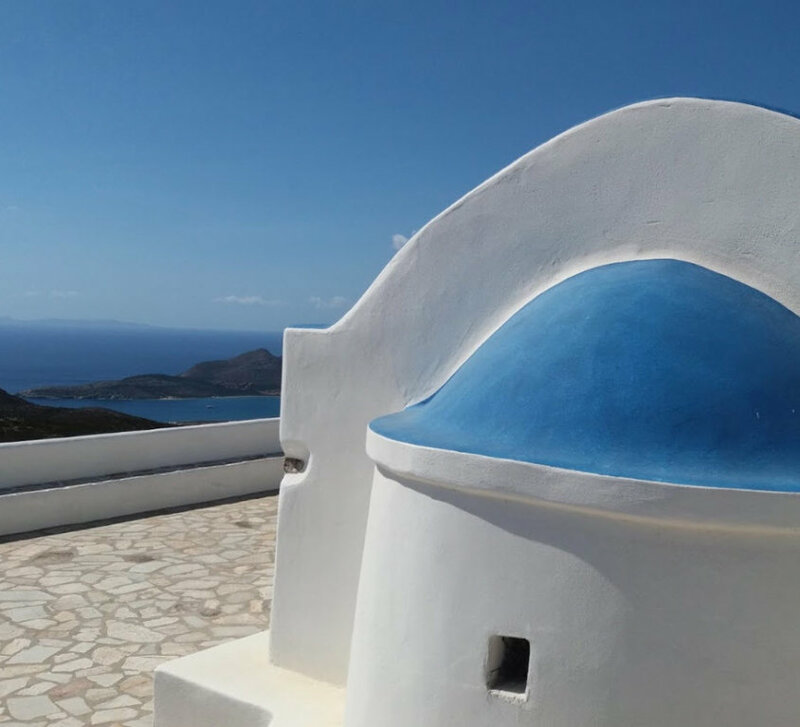 The island of Antiparos has a beautiful collection of main churches, but you will be equally embraced by many smaller and equally charming churches built in the same Cycladic style as you walk the streets of the island. 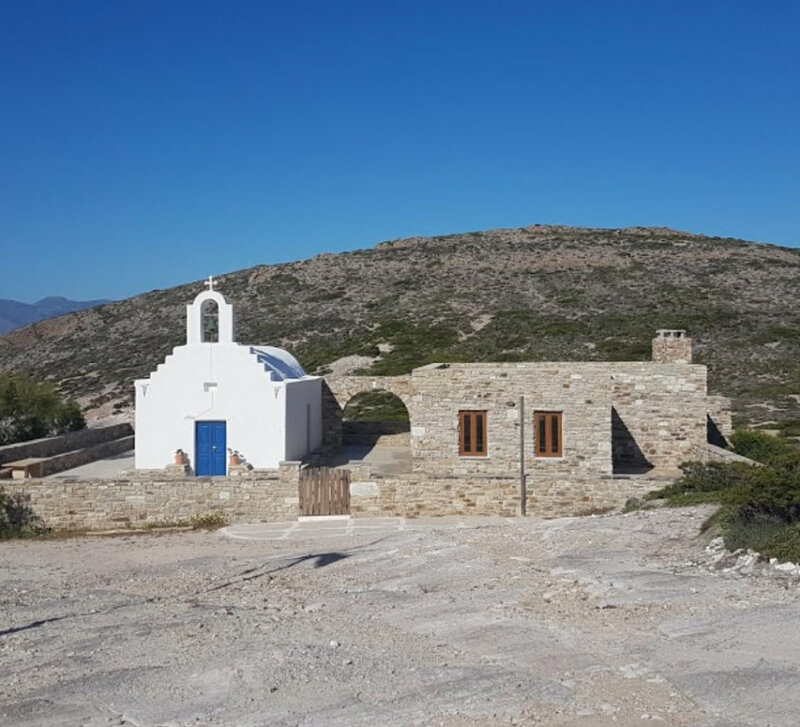 All of the churches on Antiparos, even though dispersed throughout various points of the island, they are accessible via the road network. A celebration is set up for their name day. If you are interested in having a ceremony such as a baptism or a wedding, you must contact Father Dimitrios Kydonieus. 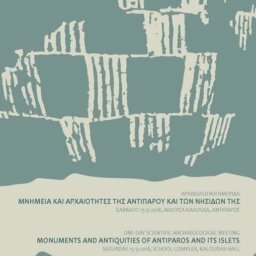 A brief guide follows below containing the most important churches and chapels on Antiparos, for those interested in taking a walk or attending the local religious celebration and viewing the local customs. 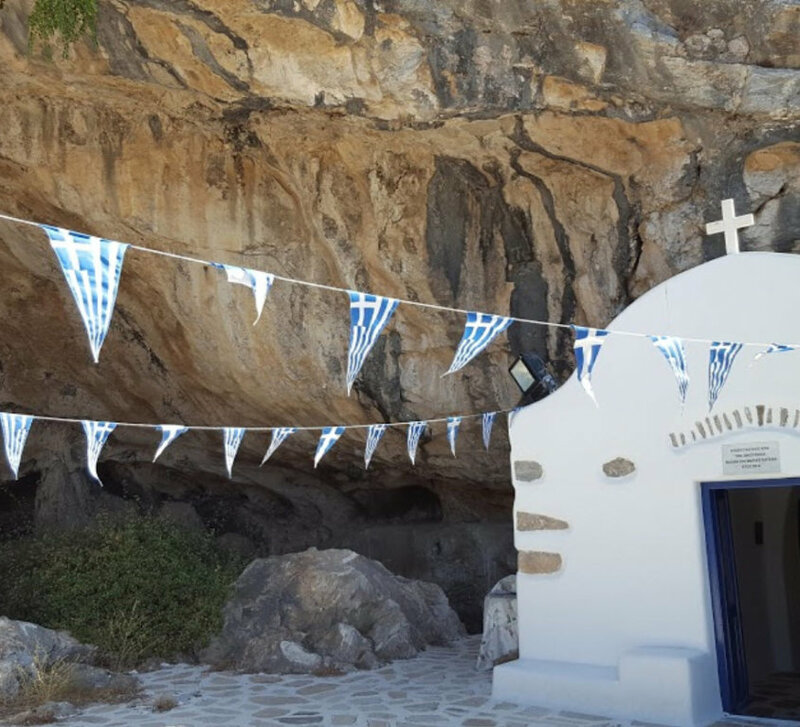 Agia Paraskevi church can be found on your way towards Kambos. An older brick church of the same name once stood in the same spot. The church was rebuilt in 1962 and since then it is celebrated on the eve and on the day of its feast, on July 25 and 26, with local delicacies and drinks. 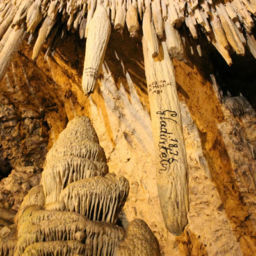 The Agios Ioannis Spiliotis Church is situated next to the entrance of Antiparos cave. 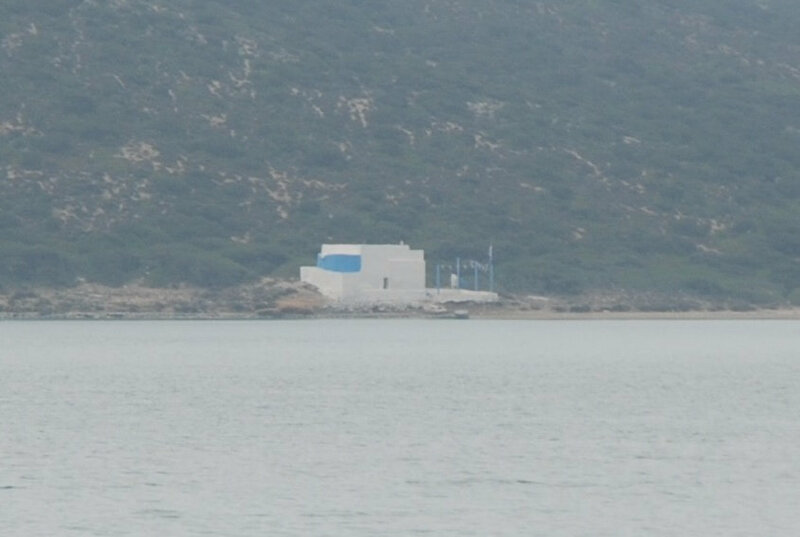 Agios Ioannis Spiliotis connects internally with the smaller and older (350 years old) chapel of Zoodochos Pigi. The church has given its name to the entire location, which is named ‘Vouno tou Agiou Ioanni. Its name day is celebrated every year on May 8. The church of Agios Ioannis was renovated in 1714 by Neofytos Mavrommatis, Church Bishop of Nafpaktos and Arta, who pieced together a painting of the Saint, which had been broken into two. 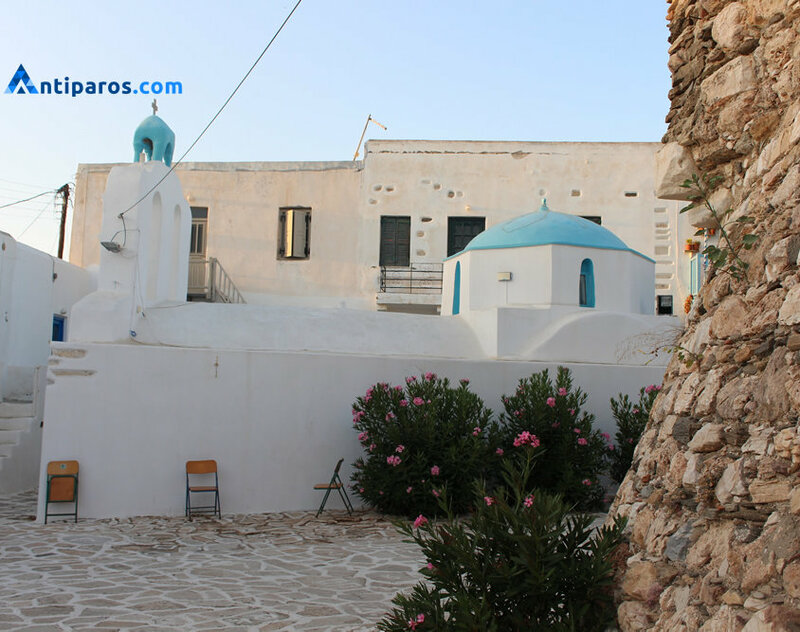 The small church of Prophet Elias was constructed by Antiparos local inhabitants in 1937. Agios Georgios church is located at the south-west of Antiparos overlooking the bay of Despotiko Island. Agios Nikolaos church is located in Antiparos town and specifically inside the Antiparos castle. The church was built in 1703, as revealed by the inscription above the west door of the church. The year 1783 appears on the transom of the north door. Inside Antiparos castle you can also find these churches: Prodromos, Gennisis of Christ, Agios Antonios, Evaggelistria and Agios Athanasios. Close by on Despotiko you can visit the Byzantine church of the Holy Virgin whose festival is celebrated on Holy Spirit’s Day. 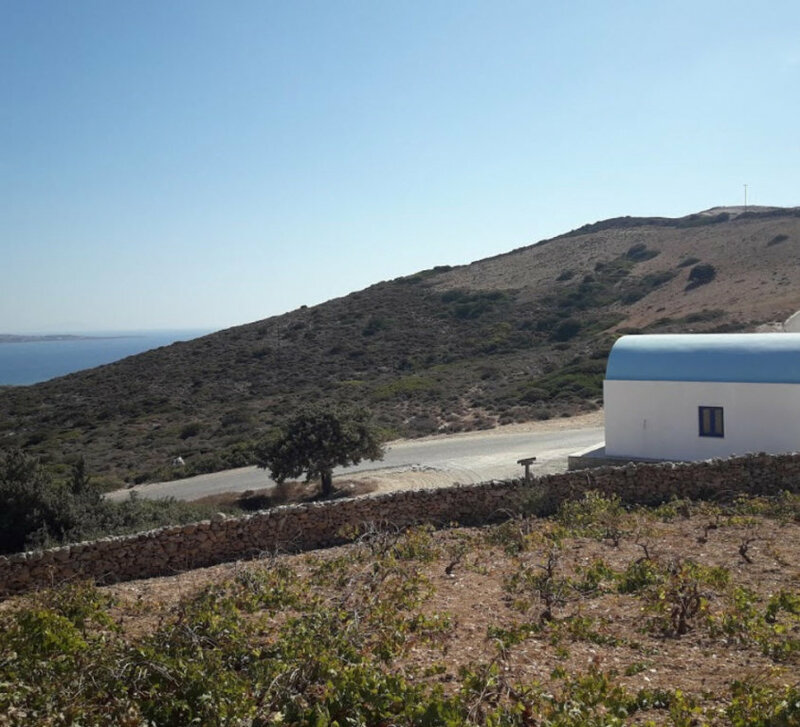 Panagia Faneromeni church is located at the southern tip of Antiparos very close to the Faneromeni beach. Panagia Faneromeni was built by fishermen for the grace of the Virgin Mary. The church is known for its annual feast held every year on the eve and on the name day of Virgin Mary, on 7 and 8 September, respectively. This is a popular time for tourists to visit the island and it presents a perfect opportunity to enjoy the traditional festivities of the island. The church can be reached by a private boat or a boat tour.